In our modern world of highly processed foods, it is difficult to know what ingredients are in your foods and how they were processed. 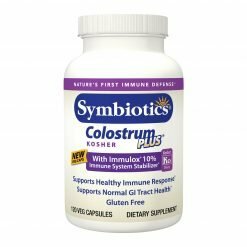 Each Symbiotics® Kosher-certified product uses ingredients and processes that meet the exacting standards approved by K-O Kosher Service, so you can feel confident. Look for the Ko symbol on the label.